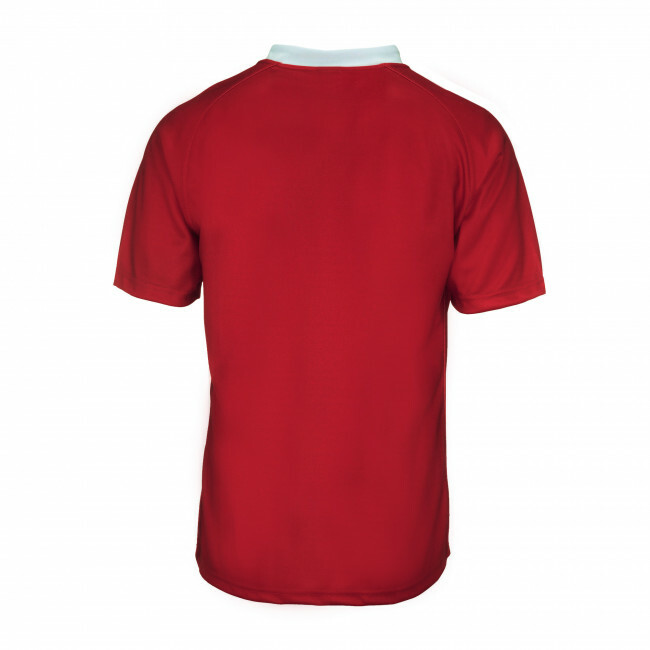 Short-sleeve rugby jersey for men. Cut and sewn. Distinctive raglan sleeves. Crew neck Normal fit. Resistant fabric. 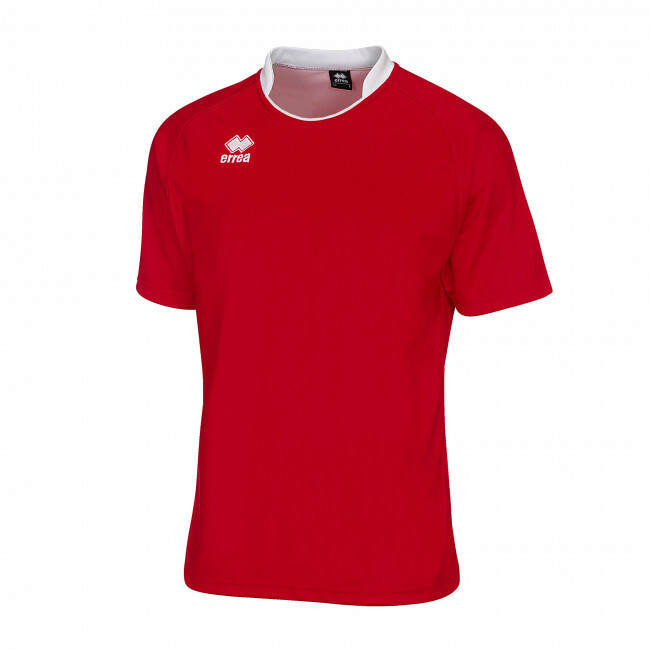 Solid colour, with contrasting collar. Sleeve cuffs with hem. 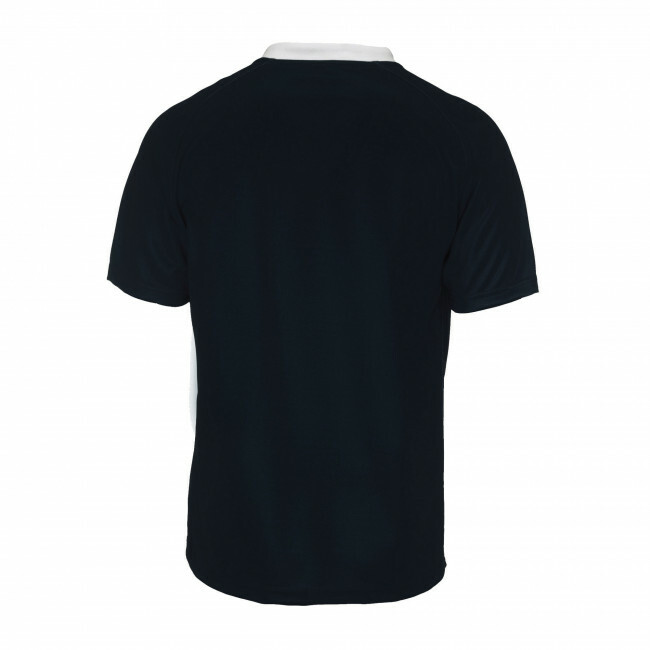 Just like the Brest shorts, the Mendoza rugby shirt by Erreà is perfect to wear to training sessions or games. This jersey has been specially designed for rugby and is made of an extremely rugged fabric. The design leaves ample freedom of movement and ensures an exceptional wearability. The raglan sleeves do not hinder the movements of the arms and allow you to unleash all your power when in the scrums and when performing long throws. The crew neck has a small slit on the front that makes it easy and quick to put on and take off the shirt. 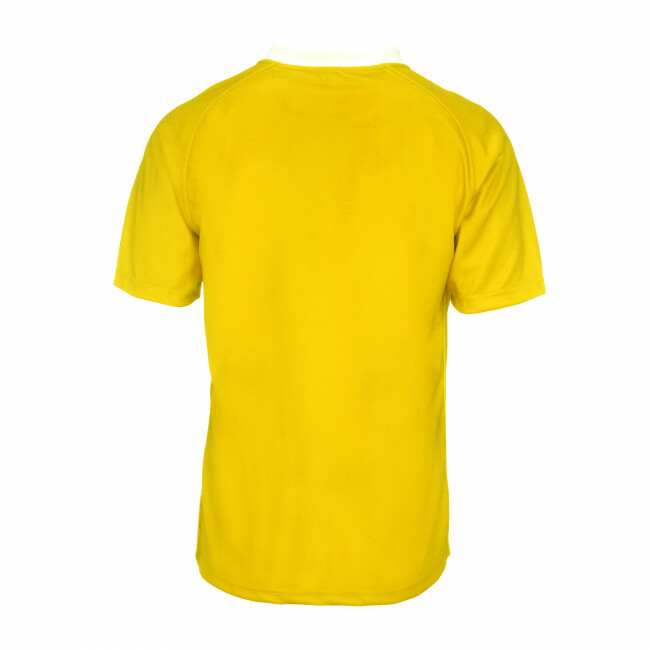 The contrasting neck gives this T-shirt a touch of colour, class and dynamism. This model is perfect for men.